The human body is made up of trillions and trillions cells. And of those trillions of cells, there are hundreds of different types, each with its own specific function, from forming your tissue and organs to reproduction and fighting off infections. They provide structure for the body, take in nutrients, and create energy. Basically, it’s all about the cell. But what is actually going on inside all of those cells when they’re doing their cellular thing? The answer to that question could help us better understand aging and disease. To get a peek inside the cell, scientists at the Broad Institute of MIT and Harvard have developed a sort of “black box” for both human and bacterial cells. Much like how an aircraft’s flight recorder, or black box (which is usually actually orange), stores data from a flight, this cellular black box can store information about events in a cell’s life. Their work appears in a new study out Thursday in the journal Science. “There are a lot of questions in biology that can be illuminated if you don’t need to observe changes in the cells as they happen, but instead can record and read them out at your leisure later,” David Liu, the senior author on the paper, told Gizmodo. But there are challenges in doing so. So Liu and his team sought to record this invisible cell activity as long-lasting changed in a cell’s DNA. 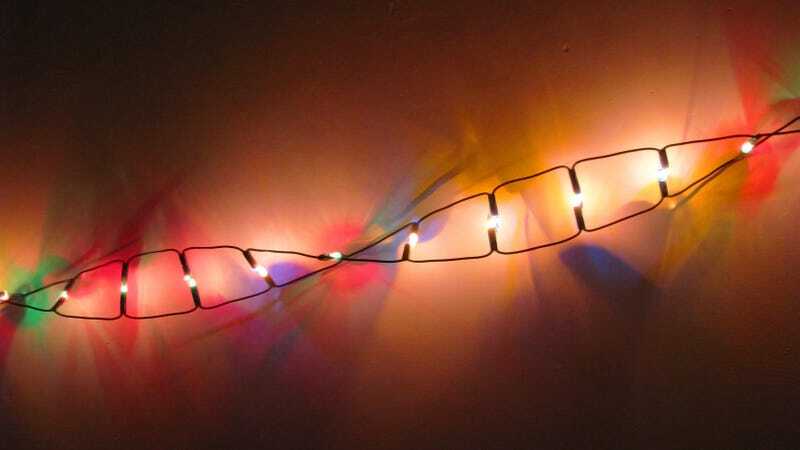 To accomplish this, Liu and his co-author Weixin Tang cleverly used the gene editing system CRISPR, typically used to treat disease, to record cellular activity. They designed two different systems for doing so, dubbed CAMERA 1 and CAMERA 2, each relying on different CRISPR components. In CAMERA 1, they used the cutting component of the CRISPR-Cas9 system. From there, it gets a little complicated. The goal was to link the cellular signal that they wanted to monitor to the CRISPR cutting. They injected little circles of DNA called plasmids into bacterial cells that the cells can replicate. They used two different plasmids that had the same origin but were ever-so-slightly genetically different. The cell, it turns, naturally maintains the same number of total copies of those two plasmids. So if you use CRISPR-Cas9 to cut one of the plasmids, the cell will produce more of the other. Program CRISPR to cut the plasmid in response to certain stimuli, and you have a way to monitor cellular activity. In live bacterial cells, they showed that the ratio of those two plasmids changed over time in response to the monitored signal, allowing them to decipher whether a cell was exposed to things like antibiotics or nutrients. “You can actually deduce whether the cell has been exposed to an hour of a signal, or two hours to signal, or whether the signal was at 60 percent strength,” said Liu. In the CAMERA 2 system, they used what are known as base editors—which can change individual letters of genetic code—to record cellular events as changes to the DNA sequence. Here, the goal was to link the cellular signals they wanted to observe to the production of base editors. When certain signals occur, the base editor changed individual letters of DNA at specific, pre-programmed locations. Using this system, they were able to record a cell’s exposure to antibiotics, nutrients, viruses, and light in both human and bacterial cells. Scientists have long sought cellular activity recording devices, and there have been several other recording systems created in the past. These two new methodologies are a significant advancement, though, because they combine several features of past systems, such as allowing for the recording of the intensity of a cell signal, recording multiple signals at once, recording the order in which those signals occur, and working in human cells. Topol said that while the paper is merely a demonstration that these methods can work, they could be important for many basic research studies in the future. Liu said that in his own lab, they are already using the CAMERA systems to answer some basic questions about stem cells, such as understanding what happens in a cell as it transforms states. With a window into the cell’s activity, Liu said, he hopes a dark corner of biology will finally be illuminated.